Get the glamorous look of long beautiful lashes everyday with Fashion Lashes which are comfortable to wear all day. 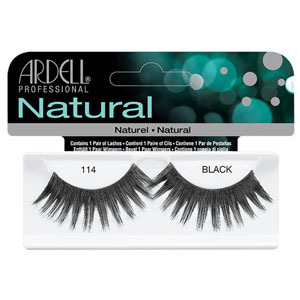 The 114 Black Fashion Lashes are dramatically long blunt cut lashes making the ideal for dance or stage performances. 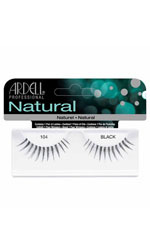 How to apply: Thoroughly clean your eyelashes and eyelids so they are make-up and oil free. Check Fit Lay lash on top of your natural lash. If it extends beyond your lash line, trim the excess with small scissors. Apply Adhesive Squeeze a thin line of LashGrip Adhesive along the lash band. A toothpick can be used to spread it evenly. Wait about 30 seconds for adhesive to set. Apply Lash Place the lash as close to your natural lash line as possible. Use your fingertip to gently press along the band to secure in place.